Habitat: Upland. 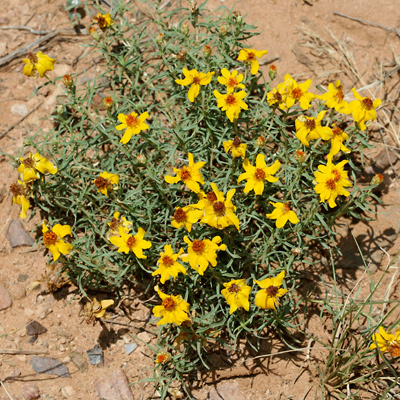 Here in southeastern Arizona, this plant grows in sunny, open, well-drained areas in the higher elevation Chihuahuan Desert in the far southeastern corner of the state. Flowering Season: Spring, Summer, Fall. 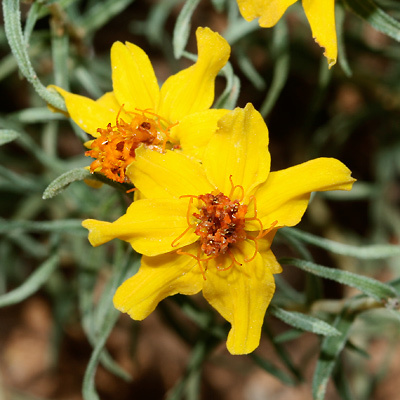 This showy wildflower blooms whenever there is sufficient moisture during the warm months of the year. Description: The flower heads are up to 1 1/2 inches (3.8 cm) wide and have 3 to 6 (sometimes more) round to oval-shaped rays (petals) and reddish orange central disks. The leaves have 1 or 3 main veins and are small, linear, curved, gray-green in color, opposite, and rough-textured. 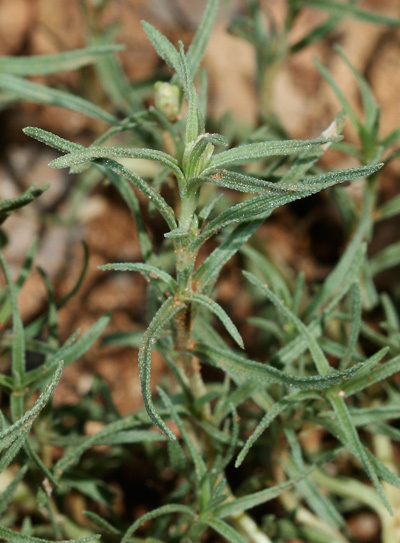 The stems are greenish, well-branched, and rough-textured. The plants are low-growing and mounding in form. 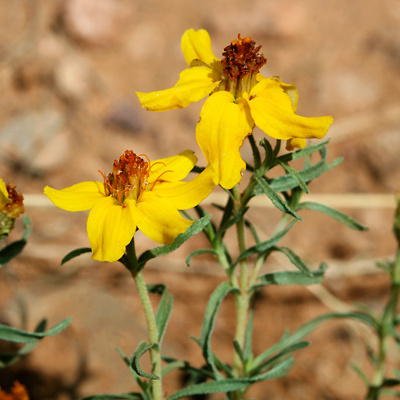 The similar Desert Zinnia (Zinnia acerosa) has white flowers. Butterfly Plant – The flowers attract butterflies.